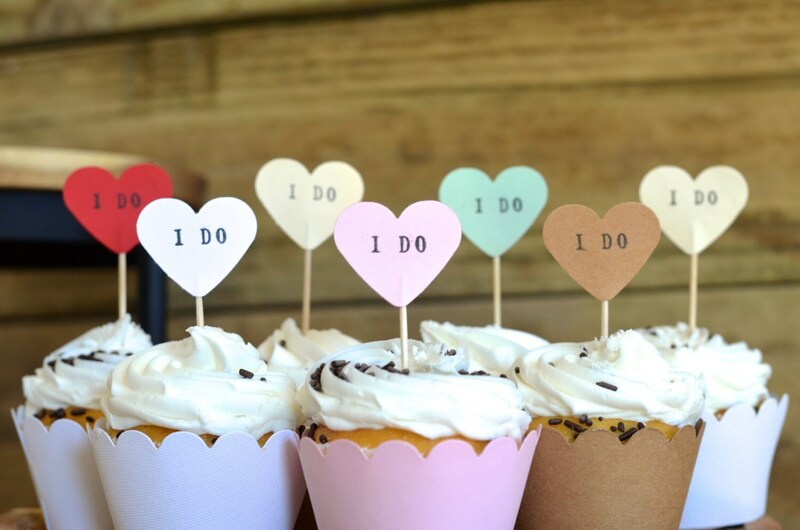 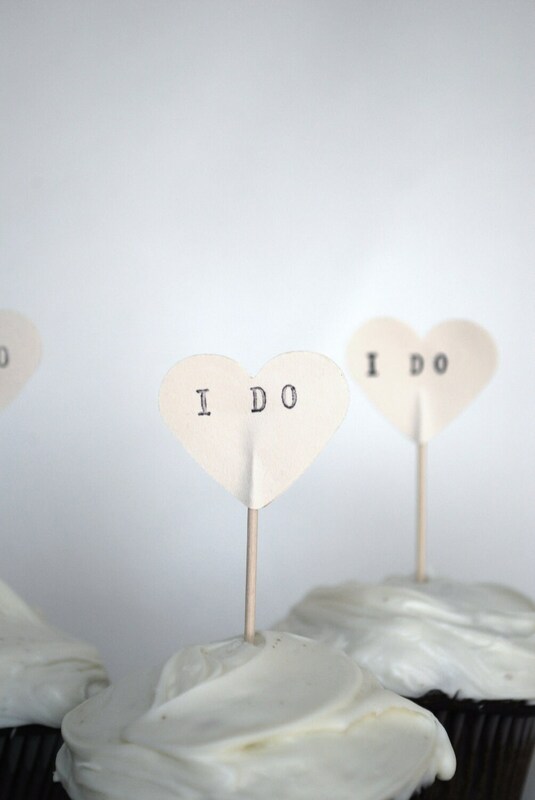 One dozen heart shaped cupcake picks each individually hand-stamped with "I DO". 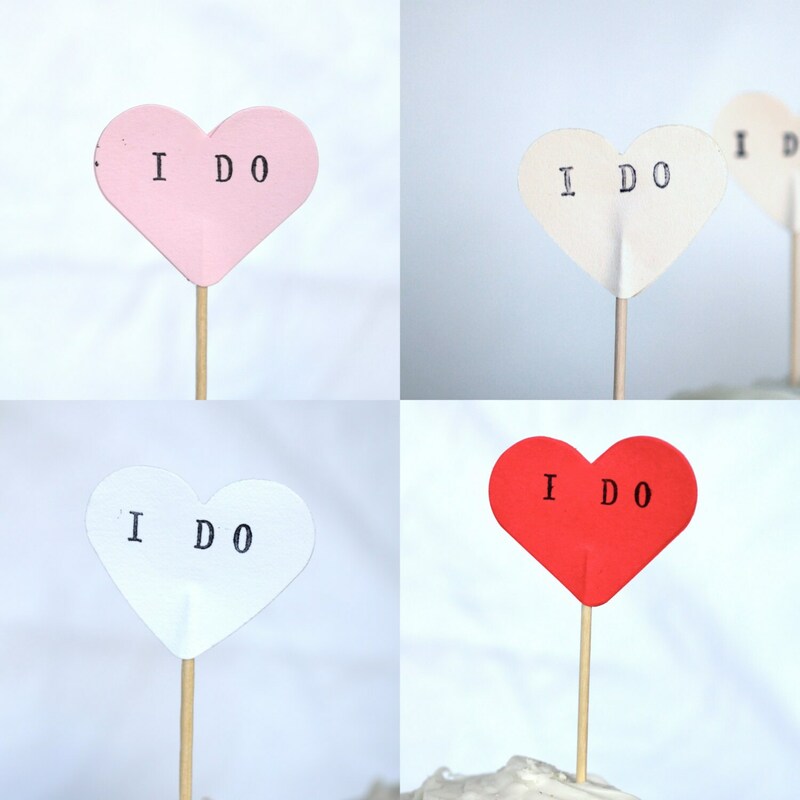 Each heart is cut from red, pink, white, mint, kraft or vintage paper and measures 1 1/2" across. 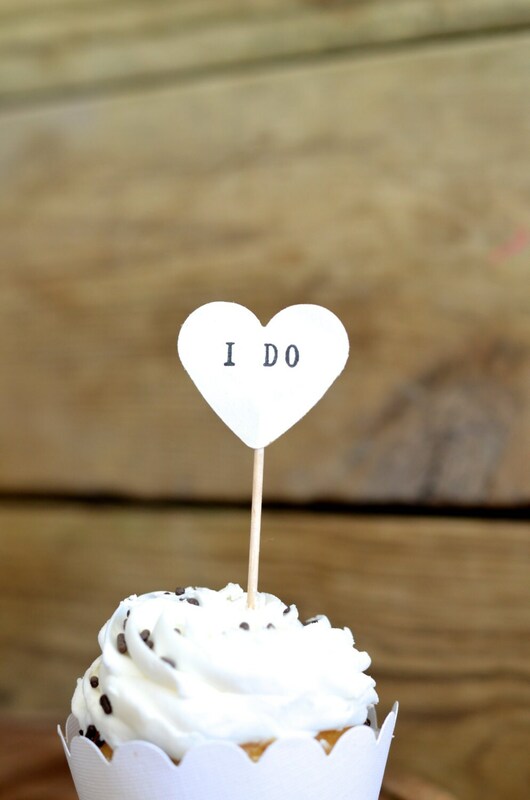 We hand stamp "I DO " onto the front of each using black ink. 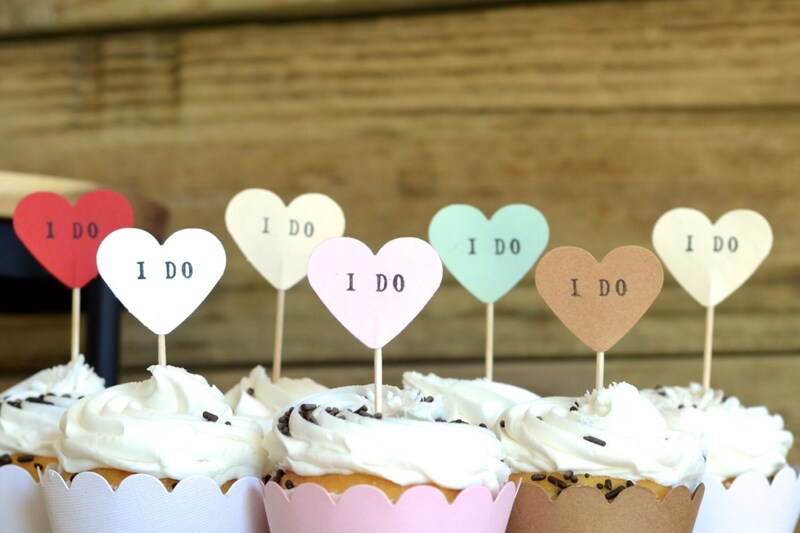 Because they are done by hand and not computer printed, each one will be slightly different and unique.